Chicken breast is dubbed as the most popular and favourite part of the chicken. The reason is simple it is meaty and boneless. The meat is lean that you can really taste the yummy and delectable chicken meat. They are different sorts of methods in order to cook chicken breast. Cooking methods such as baked, sautéed, baked, stir fried, stripped, broiled, grilled and barbequed. 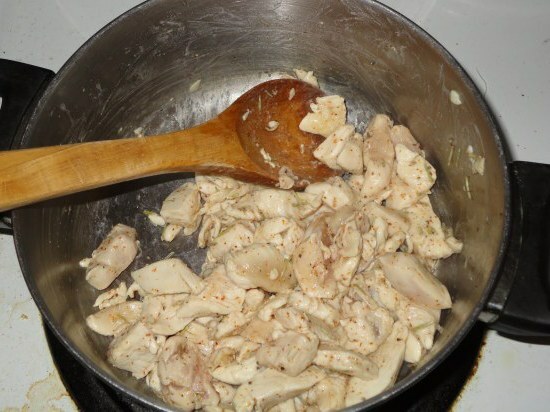 However, the most simple and easy to cook this meaty part of the chicken is through frying using a pan or an iron skillet. The choice is really up to you. Mix the following citrus, dry rub and yogurt. You can do two things either pour the mixture on the chicken breasts or use a zip lock bag and place the dry rub and the meat inside. Let the meat sit for at least 2 hours. Heat the pan or an iron skillet into medium heat. Pour in a dash of olive oil right in to the pan and let the heat get through the oil. Next, place the chicken breasts in to the pan and let it cook for about 7 or 8 minutes. Until such time the meat turns in to golden brown. Then, flip the chicken breasts and wait till the entire chicken breasts are cooked. While waiting for the chicken breasts to be cooked, you can do the side dish. Prepare the sweet corn (remove from the cob), green peas, and carrots (sliced in small cubes). On a separate skillet, pour in olive oil and when it’s hot, go and get the sweet corn, green peas, and carrots. All you have to do is sauté all of them. Then, drop in a pinch of salt and freshly cracked black pepper to add more flavour. Get a big platter and place in the cooked chicken breasts plus the side dish. To add more colour and flavour you can place some garnishing on the platter. Wait for 1-2 minutes and serve. Then, you can start eating this yummy and super delicious dish. How to Block Websites ?